An introduction about a total new way of human thinking and doing. How are the different cosmic constants related? Trying to find a unique unification theory? What is the relation between space-time – spirit ? Relation between the distribution of micro and macro matter throughout the universe? What is the reason for the Big Bang? Curious about the relation between spirit and matter? This book contains essays and analyses on politics, religion, science, physics, medicine, quantum mechanics, philosophy, meta physics, aesthetics, evolution, the meaning of life and much more (38 chapters with complete evidence and proven empirical research). 30 Years of self-tuition, involving much reading and practical and deep thinking as an autodidact. I have had an urge to develop these ideas since I was a child. My mind urged me to try and understand the world and science and their relation. It seemed to be a mission impossible, this search for the true source of life and origins of consciousness in a bizarre and strange universe. Soon, in my mind I had already formed the principle of the trinity of matter – spirit – antimatter. To me it was extremely intriguing that the big bang originated from a singularity that lacked any order or natural law. It was simply said that nothing could be known about the composition of the singularity; order only came into existence after the big bang. I have always thought it highly unsatisfactory and strange that issues like matter – antimatter and the four main powers of gravity, weak and strong nuclear energy and electromagnetic force came into being within a fraction of a second in a physical constellation which had to be perfect from the word go. If it had not been, the unbalanced mix of cosmic constants would have condemned the big bang to a certain collapse. This assumption of a perfectly balanced mix of cosmic constants comes from the idea of a perfectly wise creator who had been dealt a lucky hand of the proper ingredients. Strangest of all is the fact that matter and antimatter must have co-existed in the singularity, in an extremely small space without destroying each other. Something must have added stability to the singularity to prevent premature collapse. This assumption formed the basis to develop the principle of the trinity: matter – spirit – antimatter. Empiricism and reductionism in science have contributed much useful knowledge and progress to humanity and civilisation. However, it is a persistent problem that despite this huge scientific progress, essential existential questions and religious needs of humanity remained unanswered. Until today, religions are prominently present in the world, influencing politics and ethics. 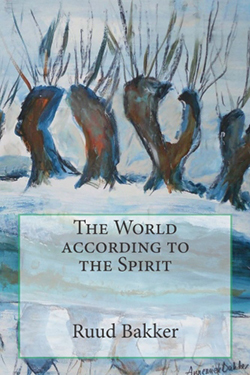 It cost me a great deal of time and effort to write this book, The world according to the spirit. It took me at least 30 years of my life to search for answers to my questions. Writing a book forces you to be logically consistent and to explain your train of thought and development of ideas fittingly. To write a chapter of an elaborate book like this requires an enormous mental concentration and peace of mind as well as the command of a good deal of background knowledge. I have followed scientific news and have read many books to take my knowledge to a higher level. I am a generalist and an autodidact, who has been inspired by the ideas of the Enlightenment. The era of enlightenment gave us freedom and equality of citizens and the Trias Politica, being the separation of legislative, executive and judiciary powers, as well as the separation of church and state. The era of enlightenment gave us Uomo Universalis and the possibility to increase knowledge and skills through empiricism and spiritual and intellectual enrichment. In the last decade my knowledge had reached a satisfactory and high enough level to meet the final challenge: relating the concept of the trinity of matter – spirit – antimatter to the latest scientific theories of quantum mechanics, relativity and cosmology. Encouraged by my wife, I actually started to write this book. I was busy doing other things. I knew I would only be taken seriously if I could develop a credible theory of unification. It was hard labour, but I am proud of the result, including the role played by the spirit. This book could cause quite a stir in the world. It is a good time for humanity to seek new ways. 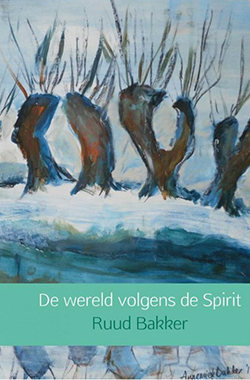 The world according to the spirit offers tools to improve human theories and behaviour in lots of different areas. The Spirit is everywhere around the world and universe.That’s why matter has the possibility to organize it’s self and his environment.That’s why the human consciousness is able to understand and to communicate whit the world around and to built up a huge and impressive memory. The world around us has a spiritual as well as a material dimension. They overlap where the memory cocoon of the spirit provides matter with structure and identity. How then can a person be distinguished according to their own personality, considering this starting point ? Mister X has a different attitude to reality than Mrs Y, although the objective reality is the same to them both. But everyone has a different personal explanation for this reality.Everyone has a different character and temperament to deal with opportunity’s and threats of live.These elements have a background in the collective sub conscious. The antimatter that remained contains anti gravity, opposed to the gravity we are familiar with. This ensures that the universe does not collapse from gravity’s force, but expands by the repelling force of anti gravity (half of 2/3 and c2). Anti gravity controls time in a forward direction, as we know it: time is future-oriented. The laws of entropy, however, predict increasing chaos and disorder as time passes. If there were no counter force, the big bang and fracture of symmetry would have caused the original singularity to dissolve into chaos and disorder.Both antimatter and time are highly intriguing subjects.